This is a class designed to introduce students ages 18-36 months to exploring foundational gymnastics movements alongside their parent or guardian, with the facilitation of a Boost Gymnastics coach. Students will explore and play with rolling, jumping, bouncing, and overall kinesthetic and spatial awareness in a safe, fun, and interactive environment. This is a class designed to introduce boys and girls ages 36 months to 5 years old to introductory level gymnastics in a fun, safe, and structured environment. Students will learn about tuck, pike, and straddle positions. 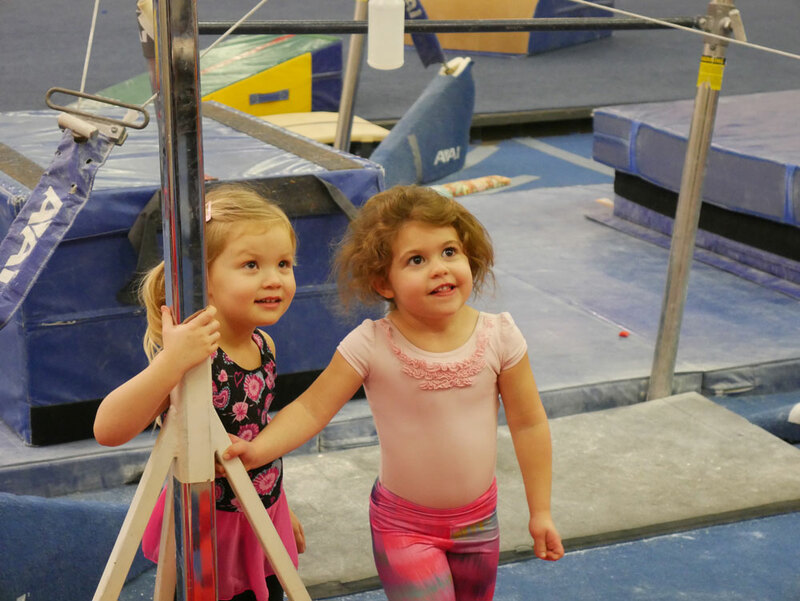 They will spend time exploring skills that involve balance, strength, flexibility, and motor coordination, including hanging/swinging on the bar, jumping with one foot and two, rolls, donkey kicks, and monkey jumps. Students will also practice listening and observation skills in this structured class environment.